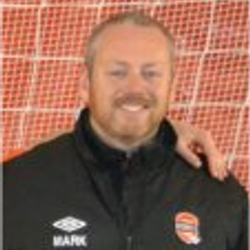 Hi my name is Mark Elton, I am originally from Portsmouth in England . But now I live in Quispamsis, New Brunswick on the East coast of Canada with my family. My first memory of football (soccer) is watching the World Cup Final in 1978 between Argentina and Holland, the Argentinians won the game 3-1 and I ran out to the small field in front of my house and tried to recreate what I had just watched. The first live game I went to was between Portsmouth and Shrewsbury Town in 1984 at Fratton Park, I got the Football bug straight away and couldn't wait to go back and experience the amazing atmosphere. All my life I lived in different parts of the world including Germany, Hong Kong, Northern Ireland and the UK due to being in a military family. So when we made the decision to leave the UK for Canada in 2005, it was not as hard of a decision as some might think. When I was 16 years old I joined the British Army myself and studied Military Communications at the Army Apprentice College in Harrogate North Yorkshire, from there I served in the Royal Corps of Signals in Germany, Bosnia and the UK. During my time spent in Harrogate, I would often catch the train into Leeds or Liverpool to watch them play in what was the old 1st Division (now EPL), it was during this time that I got to see some of Englands best players in action. 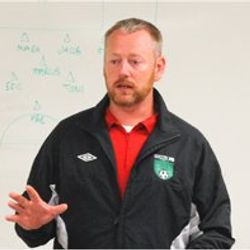 Throughout my life I have been in love with the beautiful game and either played or coached since I was 8 years old. 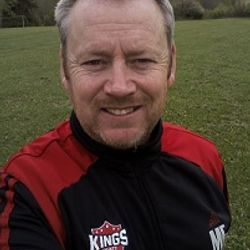 I was lucky enough to have always been picked to play for whichever school teams I attended, as well as many good standard club teams in the UK and while I served in Germany and the UK with the Army. 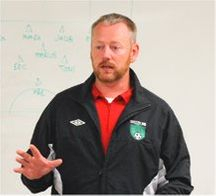 Since moving to Canada I have coached youth soccer at High School, Club Rep and Provincial level, and been fortunate to work with some fantastic coaches and players, I have also learnt a great deal about the game by watching, listening and learning to everyone that I have worked with. 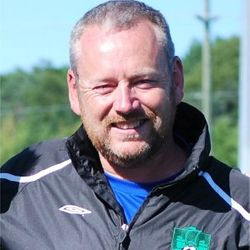 Since starting with Soccer New Brunswick in April 2015, I have also taken on the role of house guardian for a group of seven teenage soccer players that are a part of the High Performance Academy in Moncton NB, all the players attend the HP Academy during the week then travel home on weekends to be with their families. The kids are a great group and work extremely hard on and off the field.